Moving to Alabama - Compare International Movers & Save up to 70% ! If you are looking for international moving companies to help you with your Moving to Alabama, USA, Intlmovers could be the perfect solution to help you in your search. 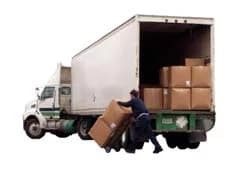 This is a quick and easy way of obtaining quotes from up to six international moving companies who are specialists with moves to and from Alabama. To request quotes with Intlmovers is very quick and simple. You only have to select your move location from the easy to use drop down menu, complete a short online form, and your request is sent immediately to up to six international moving companies. In just one request, you can receive up to six quotes so that you don’t have to waste time chasing around for multiple quotes. In addition to saving you time by automatically sending your request to a number of different companies at once, comparing quotes can also save you money. The total cost of an international move can be substantial, so it is a good idea to compare a number of offers to see what is available and what suits your circumstances the best. Compare services on offer more easily, and choose the one that meets your needs best. Alabama is located in the south east of the USA and covers an area of nearly 53,000 square miles. It has a population of just under five million people. The most populated cities being Birmingham, Huntsville, Mobile and its capital city of Montgomery. For people arriving in the USA with a passport from one of the 36 participating countries of the Visa Waiver Program, you do not require any visa for a stay of up to 90 days. Countries that are covered under this program include Australia, New Zealand and Singapore. There is also a long list of European countries that qualify. If you have a Canadian or Mexican passport, there are a different set of rules available that will affect your visa requirements for staying in the USA. If you are married to a US citizen, or are arriving for work via a company sponsorship, there are specific visas available for those situations. There are also a number of other visa types available that are specific for students and professional athletes, as well artists and performers. As with any type of international travel, it’s prudent to check all details with your local authorities prior to travel. So you can be sure of the exact requirements for entry in to the US that is applicable for your personal situation. With a border on the Gulf of Mexico, Alabama’s southern areas experience warmer temperatures. It’s considered to have a humid subtropical climate, whereby the state experiences overall relatively hot summers with mild winters. Generous rain falls throughout the year, with regular thunderstorms occurring. Temperatures during the summer are considered the highest in the country and average around 90°F (32°C), whilst the winters average temperatures of around 40°F (4°C). The cost of living in Alabama is very reasonable and falls under the national average. The median household income is around $44,000 which is also falls below the national average. To purchase a family home, a three bedroom house is estimated at an average of around $140,000. However, the average cost of a home in Birmingham is reported at around $150.000. As with any type of real estate investment, the pricing of any type of property will always be dependent upon the location and type of accommodation you are looking at. Agriculture makes up a great amount of the industry in Alabama. With the chicken production one of the leaders in the country, as well as cattle farming. Alabama is also important for the manufacturing of raw materials for the production of paper, iron and steel. Chemicals are also a major industry with a high production of chemical fibers, industrial chemicals, fertilizers and insecticides. The main areas of mining include coal, natural gas, and limestone. The fishing industry is also a large business, with the main varieties including catfish and mussels. The moving companies on Intlmovers are professionals, who often offer specialization in specific services or fields. If you are moving from Alabama you can request free moving quotes from the best international moving companies from Alabama.